However, a majority of women in business – SE Europe, rural areas or women entrepreneurs lacking higher education – are still unaware of the role and value of intangibles / intellectual capital for their business and thus miss the opportunity to manage it effectively for improved value creation, competitiveness and sustainable growth. 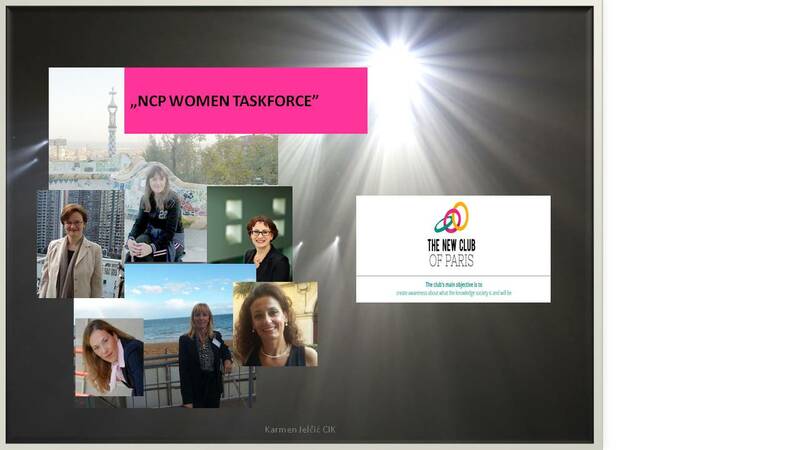 The NCP women task force group was founded in aim to enhance the visibility of NCP through collaborative actions and projects related to women and IC. We are at the stage of dynamic definition of women contribution to the current EU (and world) challenges. Each member comes from a different European country, and brings in different perspectives on the position, opportunities and difficulties of women in business enabling unique insights and synergies. Some topics for discussion will be given shortly. Your suggestions welcome.